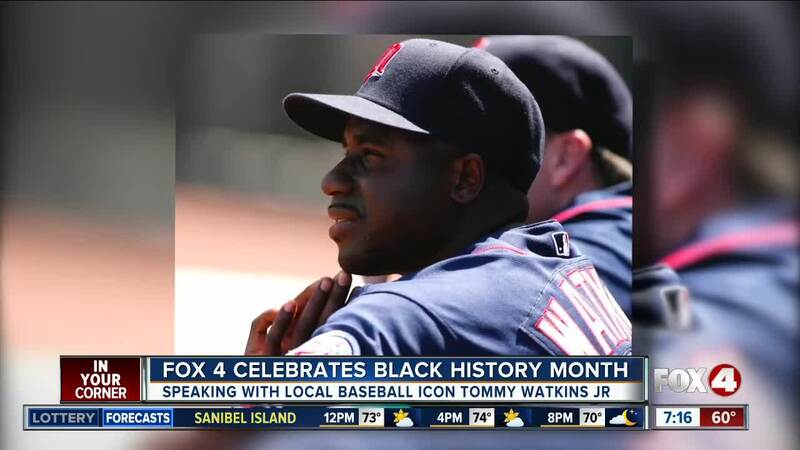 In honor of Black History Month, 4 In Your Corner got to sit down with local baseball icon, Tommy Watkins Jr., to learn about his successful career as player and now coach for the Minnesota Twins. 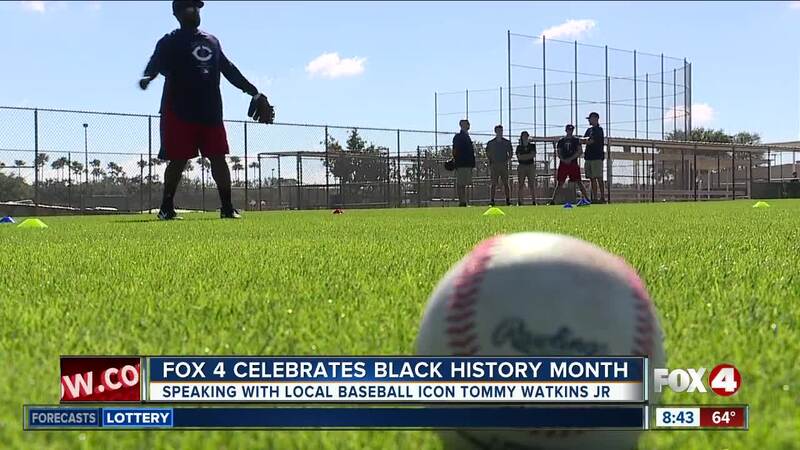 FORT MYERS, Fla. — In honor of Black History Month, 4 In Your Corner got to sit down with local baseball icon, Tommy Watkins Jr., to learn about his successful career as player and now coach for the Minnesota Twins. Born and raised in Fort Myers, Watkins was drafted in the 38th round by the Minnesota Twins after graduating Riverdale High School in 1998. "I thought I was going straight to Minnesota. Little did I know, I was going right down the road," Watkins Jr. said. "Not many people get a chance to spring train in their hometown." His career started as a utility player with the Fort Myers Miracle. He spent 12 years with the minor league team, but during his 10th year, got called up to play in the big leagues in 2007. He played in 9 games with the Twins before suffering from a lower abdominal injury. After one year, he came back to Fort Myers for rehab and eventually went back to playing for the Miracle for two more years. "I went back to AAA and my playing time decreased a little, and that's when I really started thinking about going to the other side and being a coach," Watkins Jr. said. Looking back at his childhood, Watkins said he took after his dad playing professional baseball. Tommy Watkins Sr. played for the Cincinnati Reds Organization before his son was born. Watkins Jr. said, "He never pressured me to play. It was always more of a supportive then, you know, triyng to push it on me." His mother, Ann Satchel, said she knew at just four years old, Tommy would play just like his dad, too. "You had a little bat," Satchel said. "And you carried that bat everywhere." Tommy Watkins Jr. has spent a total of 22 years with the Minnesota Twins organization, eight of those years as a coach for the Gulf Coast League Twins. This year, he'll begin his new position as the first base coach for the Twins. Spring training begins on February 23rd for the Twins.